A surprising feature at the forefront of this year’s presidential election has been the philanthropic endeavors of the candidates. The scrutiny of the Clinton Foundation is understandable given its large scale and worldwide focus. The attention surrounding Donald Trump’s charitable endeavors comes from different reasons: primarily a desire to examine his much-touted largesse and the rare public availability of financial statements that offer a window into his management approach. Unlike Trump’s personal finances, piercing the veil surrounding his philanthropic activities has been more successful, in large part thanks to the one-person muckraking operation of the Washington Post’s David Fahrenthold. The reporting by him and others has followed three trajectories in questioning Trump’s charitable giving and his foundation: assessing its scale, examining funding sources and following the money. The critical coverage led the attorney general in Trump’s home state to open an inquiry and even put a halt to fundraising in New York. It’s also sown a lot of confusion about what it’s all about. Relying on our experience with the accounting and regulatory rules for nonprofits, we’d like to clarify the Trump charity controversies and explain their potential significance. How much does Trump actually give away? 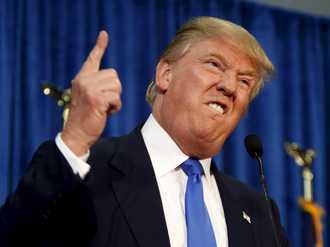 The controversies surrounding Trump’s philanthropy begin with his repeated claims that he has been very charitable, giving more than US$100 million over the past five years. To verify the scale of Trump’s giving, the natural starting point is to look at the private foundation he established, the Donald J. Trump Foundation. Private foundations are charities typically established by wealthy individuals or families to coordinate their own personal giving. What is immediately apparent from Trump’s private foundation is that its size pales in comparison to those of other wealthy philanthropists. The Trump Foundation had expenses of $5.3 million from 2010 to 2014. That may seem like a lot, but the Clinton family’s private foundation spent nearly twice as much in the same time frame, despite the Clintons having a fraction of Trump’s reported wealth. And Trump’s foundation looks even smaller when compared with other wealthy philanthropists such as Michael Bloomberg’s family foundation, which spent $279 million in 2014 alone. The foundations’ assets tell a similar story. The recent revelation that a nearly $1 billion loss carryover in the 1990s likely allowed Trump to avoid paying federal income taxes for many years suggests that his foundation’s small size may be due in part to the absence of any tax benefits of such giving. In other words, since one of the incentives for charitable giving is the tax write-off, Trump would have had one less reason to give his own money away. In any case, the foundation’s relatively small footprint led the Washington Post’s Fahrenthold to look elsewhere for evidence of Trump’s personal giving. After relentlessly calling charities with some affiliation to Trump, he ran into many “no comment” responses but found only one example of a cash gift (less than $10,000) during the period from 2008 to the launch of his campaign. Instead, much of Trump’s charity has come from his companies in the form of free rounds of golf or other in-kind gifts such as, most notably, conservation easements. Conservation easements are commitments to set aside land with certain limits on development. Trump companies have reportedly given over $60 million worth of such easements over the years. But that’s hardly the same thing as giving away cash, and Trump continues to make money on at least some of those properties. 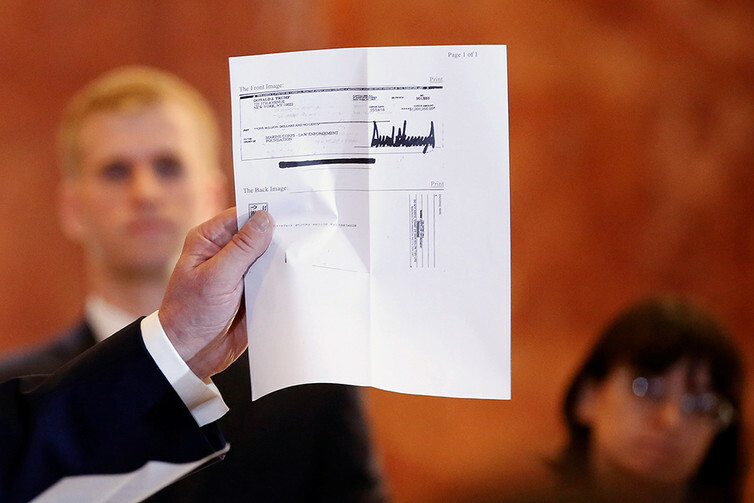 The search for Trump’s charitable largesse is far from conclusive given his tax returns remain unreleased, but the results so far suggest he has overstated his magnanimity. Efforts by campaign aides to back up his claims are actually what led to a second area of controversy for his foundation. Unlike most private foundations, the funding of Trump’s own charity doesn’t actually come from the candidate himself – at least not in recent years. Over the last decade, the Trump Foundation has largely relied on donations from others to support its giving. In fact, since 2008, no money flowing into the foundation came from the candidate himself. His supporters argue that many of the donors owed Trump money and were allowed to relieve the obligation by giving to the foundation instead. And for that reason, the donations should be viewed as the candidate’s. The Washington Post reported that about $2.3 million was donated this way. This claim, however, has the potential to create tax problems for Trump. The assignment of income doctrine states that for tax purposes a person who directs amounts owed to him to another entity must reflect both the income and use of the funds on his personal tax return. Directing money to a charity does not avoid the assignment of income problem. Because the Trump Foundation listed the payers of these amounts as its donors, many have questioned whether Trump properly claimed the income on his returns. While one may conclude it doesn’t matter because offsetting the income with the charitable contribution deduction should end in a wash, there are limits to the deduction and other categories of taxes are not offset by the deduction (Medicare, for instance). Though the tax consequence of improper treatment of assigned income is unclear, the issue only adds to the case for releasing his tax returns. If his returns do reveal improper treatment, the consequences would most likely be that Trump would owe penalties and interest. But they could also include criminal penalties if he knowingly violated tax law. 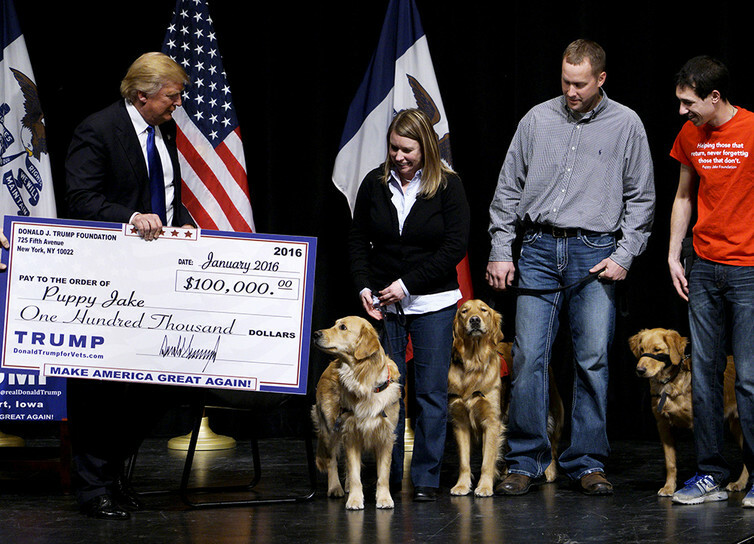 A final controversy involving the foundation’s funding sources largely revolves around the impromptu fundraiser for veterans that Trump organized in Iowa during the presidential primary. Recent news reports claim that the Trump Foundation conducted fundraising without proper registration, leading the New York attorney general to issue a cease-and-desist order. However, improper solicitation registration turns out to be a somewhat common occurrence (in fact, the Clinton Foundation too has made registration mistakes). As such, absent other improprieties, such mistakes are often overlooked. Assuming this money is delivered to veterans organizations as promised, the violation seems to be primarily a foot fault. While the source of funds has received the most attention in recent weeks, it is their use that may actually be the most damaging. Congress subjects private foundations to strict rules by imposing excise taxes on certain improper use of charitable funds. As Fahrenthold’s investigations have discovered, Trump’s grants risk being viewed as serving improper political or personal ends. For example, the foundation made a prohibited payment to a political group affiliated with Florida Attorney General Pam Bondi. 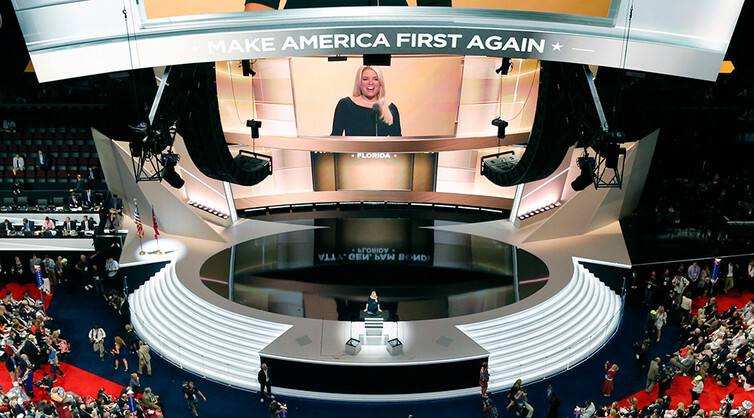 Around the same time, Bondi’s office declined to pursue an investigation into Trump University, raising allegations of a connection. The foundation defended the payment as a mistake, and Trump personally reimbursed the funds and paid a $2,500 tax to the IRS for violating the prohibition on political expenditures. It is not clear that the foundation has done all things necessary to correct this transaction. The foundation flirted with political campaign violations again this year when it made payments to veterans charities at Donald Trump for President political rallies. It allowed the campaign to present large foundation checks emblazoned with the political campaign motto “Make America Great Again.” Since political activity by charities is prohibited, the foundation put its exempt status with the IRS at substantial risk. A second source of spending controversies surrounds the issue of self-dealing. Private foundations are prohibited from engaging in activities that are for the benefit of their founder or other “disqualified persons,” such as directors and officers. The most public of these are the instances in which the foundation purchased items at charity auctions, such as an autographed Tim Tebow football helmet and two separate paintings of Trump himself (one of which is on display in a Trump-owned resort). The acquisition of the paintings is not per se problematic, but using the paintings in Trump private businesses is. Perhaps even more concerning is that the foundation made payments of over $250,000 to charities in order to settle private lawsuits of Trump businesses. If the IRS were to audit the foundation it could determine that these acts are taxable self-dealing transactions. The legal consequence would be that either Trump would owe a 10 percent self-dealing excise tax on the total amount of these transactions, or, more significantly, the foundation could lose its exempt status if it is determined they constitute a significant pattern of self dealing. While there are certainly legal and compliance questions that surround these controversies, the arguably larger issue is their consequence for the public perception of the candidate himself. Charities are normally viewed as behaving in good faith until there is strong evidence otherwise. The glue that holds this social contract together is the disclosure requirement: As part of their accountability, charities generally must make their financial statements available to the public for review. It is this feature that has given the public a glimpse of the activities of the candidate. Barring a full release of his tax returns, this glimpse may be all the public has on which to gauge his business acumen as well. For this reason, the controversies surrounding the campaign of Donald Trump are unlikely to go away in the last weeks of this campaign.